TORONTO - Ontario's Liberal government will bring in regulations to standardize police street checks, a controversial tactic known in Toronto as carding, but advocates against the practice say that's not enough. Those advocates say the practice is arbitrary and amounts to racial profiling and believe it's not something that can be reformed through regulations, but should be banned outright. 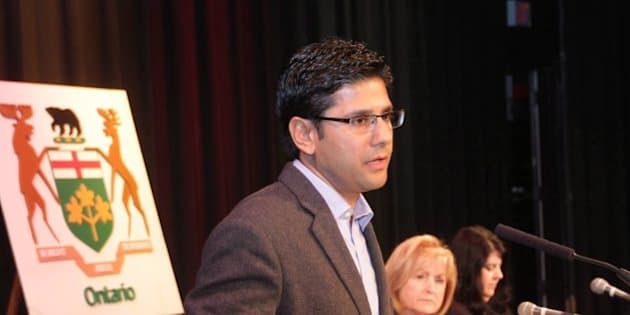 Community Safety Minister Yasir Naqvi says it's not acceptable for police to stop and question a member of a racialized community for no reason then record that person's information in a database. But when asked why he wouldn't eliminate police street checks altogether, Naqvi said it's important both for police to be able to engage with the communities and that they be able to investigate any suspicious activity. Desmond Cole, a prominent activist against carding, says he's fine with police having informal conversations with members of their communities and he's fine with police questioning people in formal investigations, but he says if people are not suspected of a crime police should not be documenting them. The provincial government will be holding consultations over the summer with community organizations, police, civil liberties groups and the public before bringing in regulations in the fall.